One of the questions I get asked frequently is, “When do I need to take my child to the dentist for their first visit?” There is a lot of conflicting information out there about infants, young children, dentists and teeth. So what follows is a guide for a first (or really any) dental visit from my perspective as a pediatric dentist!  The American Academy of Pediatric Dentists (AAPD) recommends that a child be brought to the dentist when their first tooth erupts, or by their first birthday, whatever comes first! But if you missed this deadline, please don’t worry! We are always happy whenever a child comes to see us and we can help them have healthy smiles. With young children, a doctor’s visit can be an undertaking! I speak from experience with my own child. So my first piece of advice is to plan in advance. Start by looking for a pediatric dentist. Pediatric dentists have an additional 2+ years of training after graduating from dental school in childhood growth and development, a small child’s mouth and how that changes as they grow, and what we call behavior management. This means we have studied child psychology and developmental milestones so we can approach the child in a way they will be able to tolerate, and hopefully enjoy! Pediatric dentists also have training and experience working with children with special health care needs. The best ways to find a pediatric dentist are to ask your pediatrician, ask a friend, or search for a Diplomate of the American Board of Pediatric Dentistry at www.abpd.org. Diplomates of the ABPD are pediatric dentists that have graduated from their residency programs AND who have passed a very intense oral board! So you can rest assured they are well qualified to care for your little ones. Once you have decided on a pediatric dentist, call the office and review costs with them. How much will a new patient exam be? Does that include a cleaning and a fluoride treatment? What about x-rays? Also ask about insurance coverage and out-of-pocket costs. Another way to streamline your visit is to fill out forms in advance. At our office, we will send you an email with a link, and you can fill it out on your phone or computer at home, whatever is more convenient for you. And if you don’t have a chance before you come in, don’t worry, we can do it there too!